Whether you are planning your wedding reception, an office holiday party, or a birthday party, food is the number one priority. The right food can help you and your guests create memories that will last a lifetime. Our talented chefs and professional catering assistants will work with you to create an elegant menu for your event. 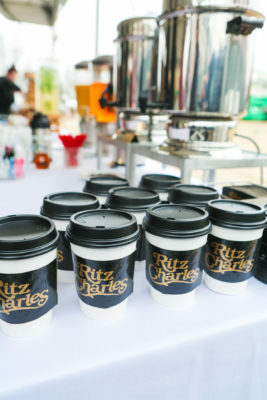 At Ritz Charles Catering, no event is too big or too small. We can cater your event at one of our exclusive venues like the Ritz Charles Ballrooms and Garden Pavilion, City Hardware, Coxhall Gardens, Indianapolis Artsgarden, Indianapolis Public Library, and Lindley Farmstead. Or, we can come to you! Having a backyard BBQ for family and friends? Ritz Charles Catering can help. Our mobile kitchen allows our chefs to prepare your meal on-site and served at the right time, so that the food is enjoyed at its best. Our years of experience at a variety of sites all across Indianapolis allow us to deliver a seamless event no matter where your location is. For more information about our catering services, please fill out the contact form below.